The Brazilian Air Force (FAB) is counting down to receive the first units of the largest military aircraft ever produced in Brazil. At a press conference held on Tuesday (02) at LAAD 2019, in Rio de Janeiro, RJ, Ing. 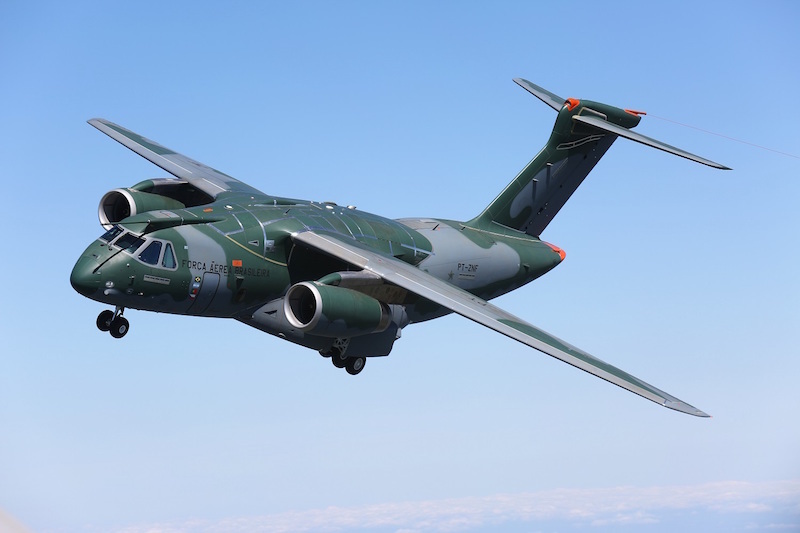 Walter Pinto Junior, Director of Embraer's KC-390 program, spoke with the press about the outlook in the final stretch of the process of the KC-390. "In this 2019 edition of LAAD, we are pleased to celebrate a significant milestone in the program, which is the beginning of KC-390 series production," he said, showing the current state of the first three aircraft to be delivered to the FAB. "It is worth mentioning the participation of the FAB from the drafting of requirements, the concepts, until the verification of the same in the tests," he added. The first aircraft is expected to be delivered in the first half of 2019 and later this year the FAB will receive the second unit. In 2014, FAB signed the purchase contract for 28 aircraft. The 1st Troop Transport Group (1st GTT), established in Ala 2, in Anápolis (GO), in 2018, will be the first operational unit of the FAB to receive the aircraft. The Chairman of the Coordinating Committee of the Combat Aircraft Program (COPAC), Air Brigadier Marcio Bruno Bonotto, spoke about the latest adjustments that are being made to the first KC-390. "We are finishing initial preparations for Ala 2 to receive the aircraft, with commissions analyzing the receipt of the first aircraft and finalizing the maintenance and pilot training courses. The certification test campaign will continue until 2020 to release the aircraft's capabilities and meet the needs of the FAB," he said. In 2018, the KC-390 has already received certification from the National Civil Aviation Agency (ANAC). In 2019, it has undergone certification tests for various missions, such as cargo launch, assault landing (landing, runway launch and takeoff in sequence) and In-Flight Refueling (REVO).